WhatsApp Not Working On iPhone? Here's The Real Fix! You are at:Home»iPhone»Apps»WhatsApp Not Working On iPhone? Here’s The Real Fix! You’re trying to talk to your friends and family using WhatsApp on your iPhone, but it’s not working properly. WhatsApp is the preferred communication app of many iPhone users, so when it stop working, it affects a lot of people. In this article, I’ll explain what to do when WhatsApp is not working on an iPhone so you can fix the problem for good! Why Is WhatsApp Not Working On My iPhone? At this point, we can’t be exactly sure why WhatsApp is not working on your iPhone, but it’s most likely a software issue with your iPhone or the app itself. 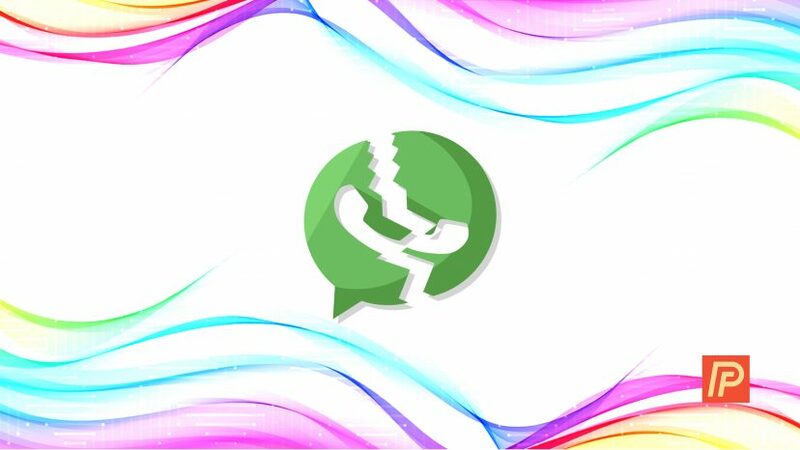 Poor connection to Wi-Fi, software crashes, outdated app software, or WhatsApp server maintenance are all things that could be causing WhatsApp to malfunction on your iPhone. Follow the steps below to diagnose the real reason why WhatsApp is not working on your iPhone so you can fix the problem and get back to chatting with your friends! When WhatsApp is not working, the first thing to do is restart your iPhone, which can occasionally resolve minor software glitches or bugs. 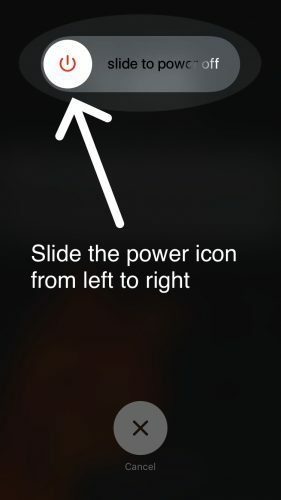 To restart your iPhone, press and hold the power button (also known as the Sleep / Wake button) until the power slider appears on your iPhone’s display. Wait about a minute, then press and hold the power button again until the Apple logo appears in the center of your iPhone’s display. When WhatsApp is not working on your iPhone, there’s a decent chance that the app itself is malfunctioning. Sometimes, closing out of the app and reopening it can fix those minor app glitches. 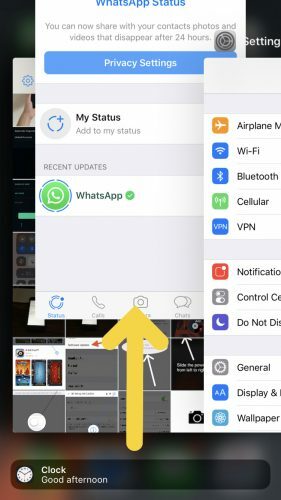 To close WhatsApp, double-click the Home button to open up the app switcher, which displays all of the apps currently open on your iPhone. Then, swipe WhatsApp up and off the screen. You’ll know it’s closed when it no longer appears in the app switcher. Another way to troubleshoot a malfunctioning app is to delete it, then reinstall it on your iPhone. If a file within WhatsApp has become corrupted, deleting the app and reinstalling it will give the app a fresh start on your iPhone. To delete WhatsApp, gently press and hold the app icon until your iPhone briefly vibrates and your apps begin to jiggle. Then, tap the small X in the upper left-hand corner of the WhatsApp icon. Finally, tap Delete to uninstall WhatsApp on your iPhone. 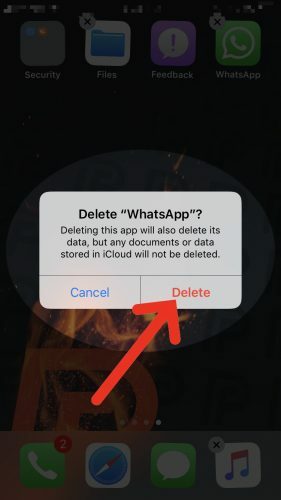 Don’t worry — your WhatsApp account will not be deleted if you delete the app on your iPhone, but you will have to reenter your login information. App developers frequently releases updates to their app in order to add features and remove bugs or glitches. If you’re running an outdated version of the app, it could be the reason why WhatsApp is not working on your iPhone. 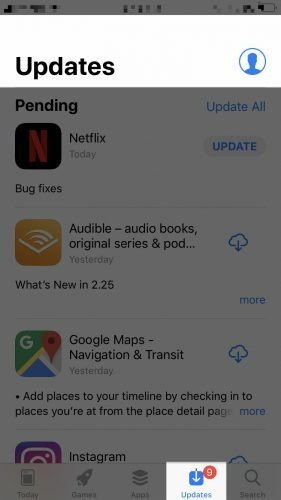 To check for an update, open up the App Store and tap the Updates tab at the bottom of the screen. If there is an update available for WhatsApp, the the blue Update button to the right of it. You can also update all of your apps at once by tapping Update All. If you use Wi-Fi while using WhatsApp, the app may not be working because of an issue with your iPhone’s connection to Wi-Fi. Just like restarting your iPhone, turning Wi-Fi off and back on can sometimes fix minor connectivity bugs or glitches. To turn Wi-Fi off, open the Settings app, tap Wi-Fi, then tap the switch next to Wi-Fi. You’ll know Wi-Fi is off when the switch is gray. 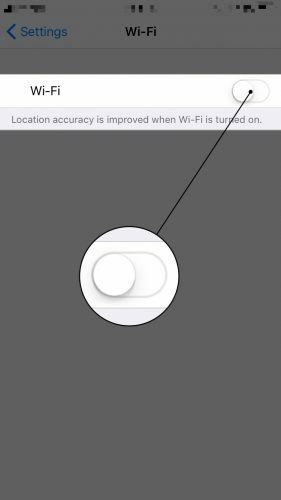 To turn Wi-Fi back on, tap the switch again — you’ll know it’s on when it’s green! A more in-depth Wi-Fi troubleshooting is to forget your Wi-Fi network, then reconnect your iPhone too it. 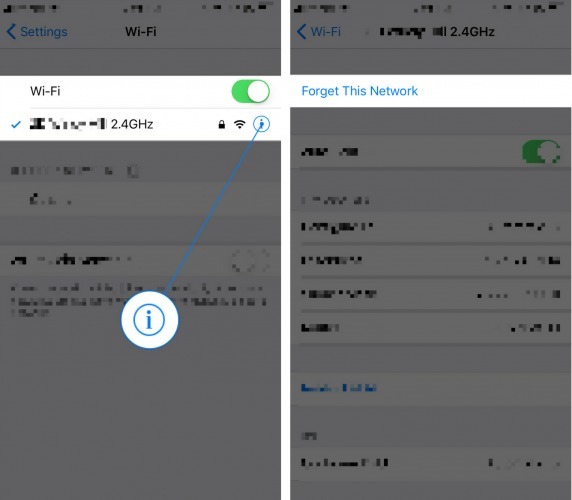 When you connect to a Wi-Fi network for the very first time, your iPhone stores information about how to connect to that Wi-Fi network. If any part of that process changes, it may affect your iPhone’s ability to connect to the Wi-Fi network. By forgetting the network and reconnecting, it’ll be like connecting your iPhone to the Wi-Fi network for the very first time. To forget a Wi-Fi network, go to Settings -> Wi-Fi and tap the information button next to the Wi-Fi network you want to forget. To reconnect to the Wi-Fi network, tap on it in the list of networks under Choose A Network… and enter the password if you have one. Occasionally, major apps like WhatsApp will need to have routine server maintenance done. You may not be able to use WhatsApp while it’s undergoing server maintenance. Take a look at these reports to see if the WhatsApp servers are down or undergoing maintenance. You’ve successfully fixed WhatsApp on your iPhone and you can get back to chatting with your friends and family. Next time WhatsApp is not working on your iPhone, make sure to come back to this article for this fix! If you have any other questions, feel free to leave them down below in the comments section! Previous ArticleHow Do I Scan Documents On An iPhone? Here’s The Fix! Next Article My iPhone “Cannot Verify Server Identity”! Here’s The Real Fix.